China’s Ministry of Transport has announced a list of seven projects that has been selected for the trial operation of shore power. 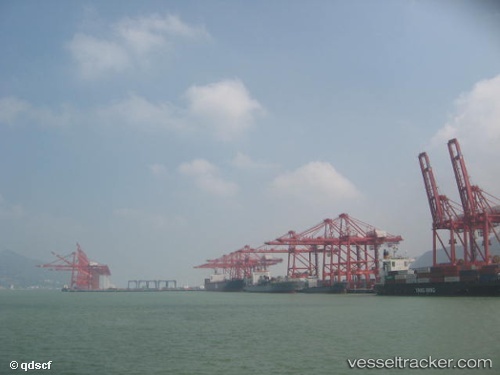 The seven projects include five port terminal shore power projects at Lianyungang New Oriental International Container Terminal, Guangzhou Nansha Port Terminal Phase 3, Shenzhen Yantian International Container Terminal Phase 3, Shanghai Wusongkou International Cruise Terminal and Ningbo-Zhoushan Chuanshan Container Terminal, and two ship shore power conversions projects which involve seven 10,000teu containerships from Cosco and four 250,000dwt bulk carriers from Shangdong Shipping. The ministry of transport has requested all relevant authorities to submit assessment reports by the end of 2016. There are growing signs of Beijing’s willingness to lift a ban on the entry of mega ore vessels known as Valemaxes, since their owner, Brazilian mining company Vale, signed agreements with a Chinese state-owned shipping company and port management, Shanghai’s China Business News reports. Vale dry-cargo ships, known as Valemaxes, are the largest in the world and belong to Vale SA, a Brazil-based metals and mining company. Vale and the management of Lianyungang port in China’s eastern Jiangsu province signed a cooperative agreement in July to pave the way for Vale’s ultra-large Valemaxes, which have a capacity of 400,000 dead weight tons (dwt), to dock at the port and boost productivity of their operations. Vale is facing transit times to China more than three times longer than its Australian competitors, and opted to build 35 Valemax vessels in 2008 to achieve economies of scale and slash transport costs, according to the CBN report. The 35 Valemax ships are capable of shipping 56 million metric tons of ore to China per year and can sharply cut transport costs. Yet Valemax ships are not permitted to dock at Chinese ports under existing rules, which only permit ships with a capacity of at least 250,000 dwt. Chinese shipping companies had lobbied hard to ensure that Valemax ships are not allowed to dock at Chinese ports. They argue that allowing so would exacerbate overcapacity in the shipping industry. The pact between Vale's Tubarao Port and its Chinese partner comes just a few months after one of the miner’s controversial Valemax vessels called at Lianyungang. In a statement Vale says the organisations will work together “to implement high productivity operations procedures, new world class projects and green emissions and energy related measures that aspire to become a global benchmark in the port industry”. Lianyungang, which handles 15% of Brazilian grain exports and 35% of Vale’s iron ore, received the 403,700-dwt Vale Indonesia (built 2012) in March. The ship called while empty despite the high-profile ban on the giant vessels by Chinese authorities.